Last weekend was the first Canadian long weekend of the spring/summer season. This year, as is our family tradition, we went camping. May long camping weather is always a surprise. Some years it has snowed and others it was warm enough that we went swimming in the pool. This year is was kind of in between. It rained and was pretty cold at night Friday and Saturday but Sunday and Monday it was sunny and warm. All in all a good weekend. Today I’m exhausted and I’ve hardly done any work except cleaning up camp supplies and repacking everything (think loads of laundry and dishes). I love camping but it has a strange effect on me. I’m excited to go, planning and packing and loving so many things about my time in good ‘ol nature but often coming home is my favourite part. Maybe it makes me appreciate things I take for granted like running water, quick cooking and being able to stay clean. Of course I alway appreciate my knitting whether I’m home or camping. Here’s the second side of my Bertram Tank top. Actually the warm weather has been here for a few weeks now and I’m so happy to blink my winter tired eyes in the warming sun of the spring. The last few weeks have just slipped by as I’ve been running around filling appointments and other errands. I wish I could say I’ve been busy with work but things have been slower than I hoped. On the upside I’ve partnered up with another local business and I hope to see an increase in projects soon. Speaking of projects I’ve finished the first side of my Bertram Tank Top. I took a break from the second side because I wanted to knit my Mom a pair of houndstooth wrist warmers for Mother’s day. The pattern will be coming soon. I have to knit another pair because I forgot to take pictures of the pair I knit my Mom! Here’s the front of the tank top. There is a mistake. It doesn’t ruin it so I don’t mind it. Can you see it? 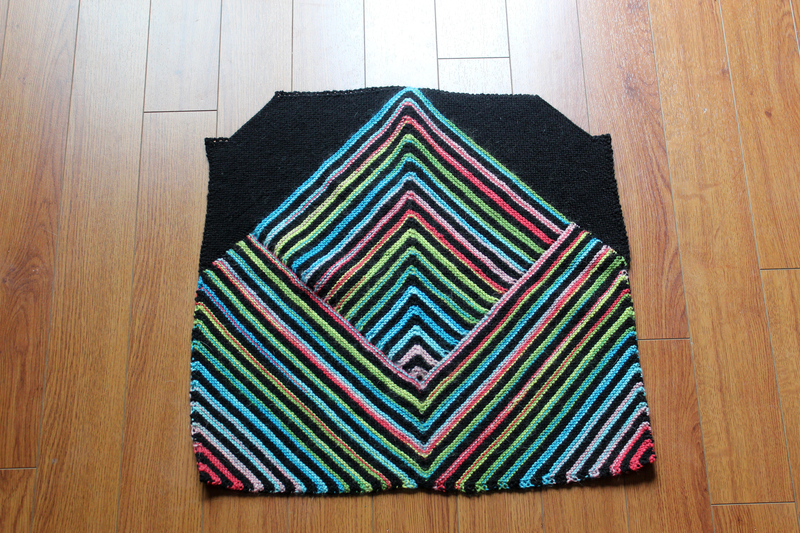 It needs to warms up so I can wear my Bertram tank top as soon as it’s done. I love the modular way it knits up. It’s something different from the usual way of making a sweater which makes it fun. 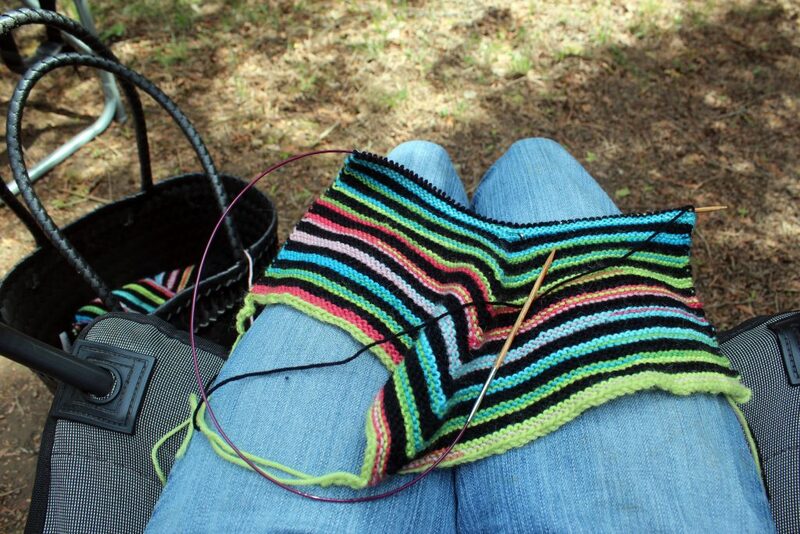 I can’t wait to get to the next part of the pattern to see how it’s going to go together. The mitered square was cool to make, but I messed it up near the end. I ended ripping out several rows because, a few times I missed decreasing 2 stitches at the centre (I only decreased 1 stitch). The result of my error shifted the middle decreases over to one side and everything was off centre. If you decide to knit this pattern make sure to constantly check that you have an equal number of stitches on either side of your marker. It would have saved me a headache and a fair bit of swearing if I had been checking more often. Now that it’s fix it’s coming along nicely. Yesterday I started a new project! It’s from Creative Knitting magazine called Bertram Tank. 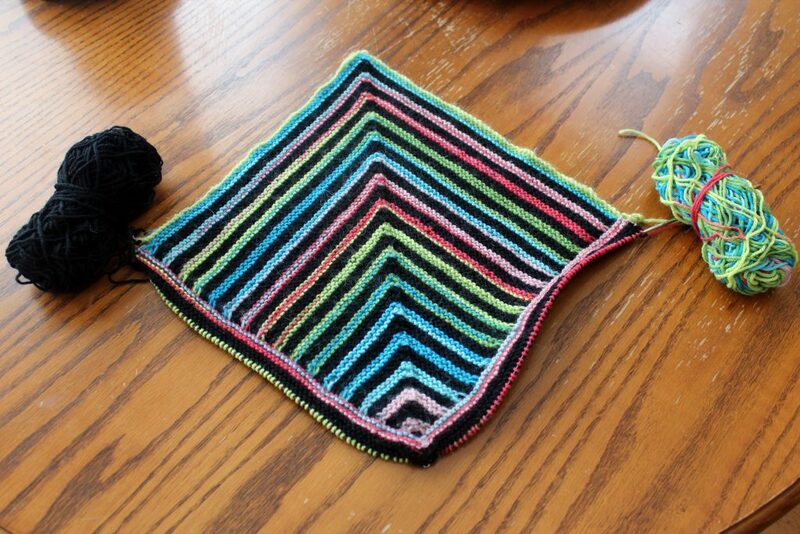 I’m excited about this one because I get to learn 2 new skills, mitered squares and provisional cast on. Provisional cast on is a method of cast on that you ‘unzip’ later on to give you an edge with live stitches which are picked up and knit. I love that the tank top is knit modularly making it more interesting to knit. I wasn’t keen on the colours the designer choose – I look bad in yellow, so I decided to go with some very different colours. You can see them in the below photos. 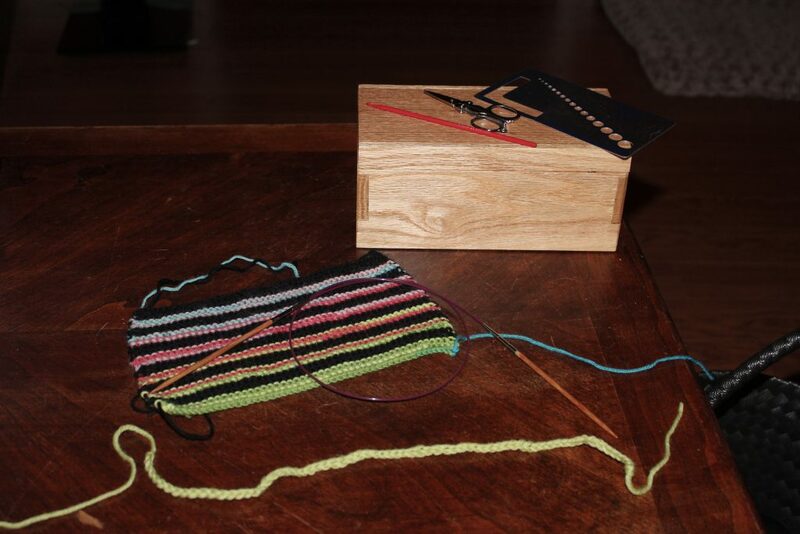 The first photo is my swatch and the crocheted chain for the provisional cast. The second is the chain again (you actually need two of these for the pattern). The third is the beginning of the cast on. The fourth is where I am on the tank top as of this morning. You probably guessed I’ve been busy since I missed posting last week. Work kind of exploded and I was putting in some good hours trying to get caught up. I’m starting to figure out the next article I want to write. I wish I had more time to do research. 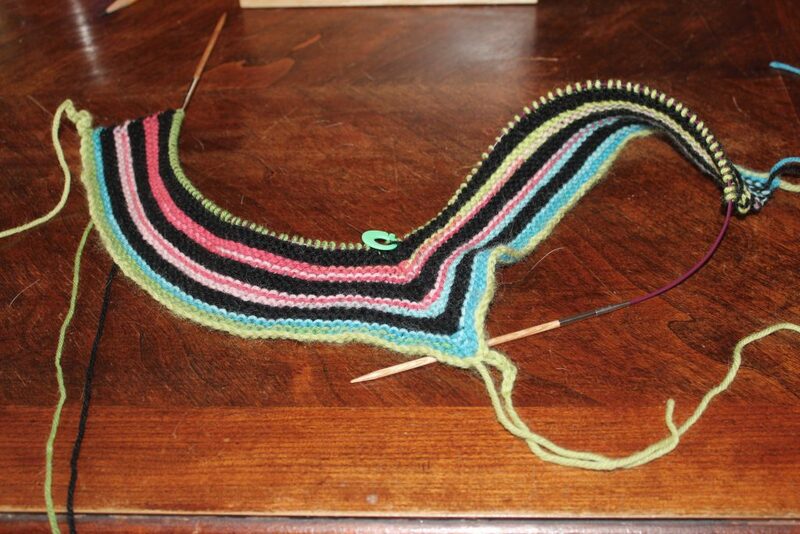 I have been making time to knit – of course! I’m trying to build up an Etsy inventory to help get me through the slow months of work (no pressure). 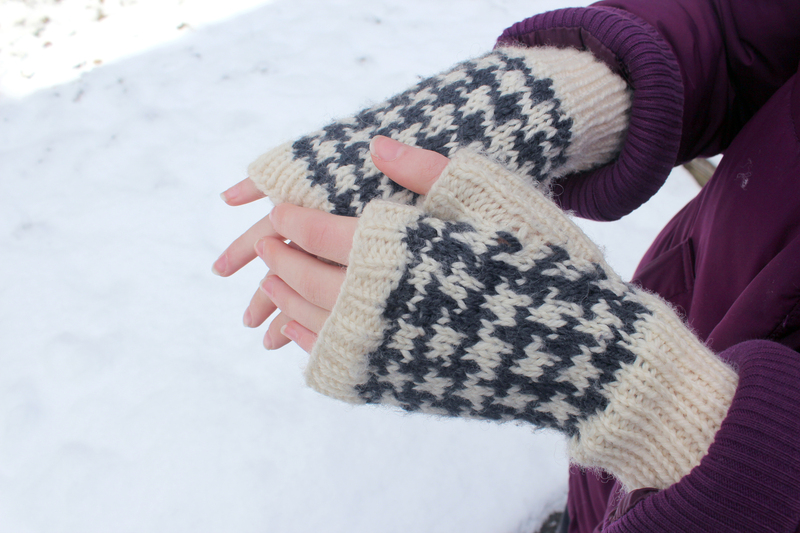 I loved the houndstooth fingerless mitts I made my niece for Christmas that I made a pair for myself. My daughter was kind enough to model them for me. Oh happy winter – okay not really. It’s been so cold here in Canada that I’m counting the days until Spring. At least the days are getting longer. 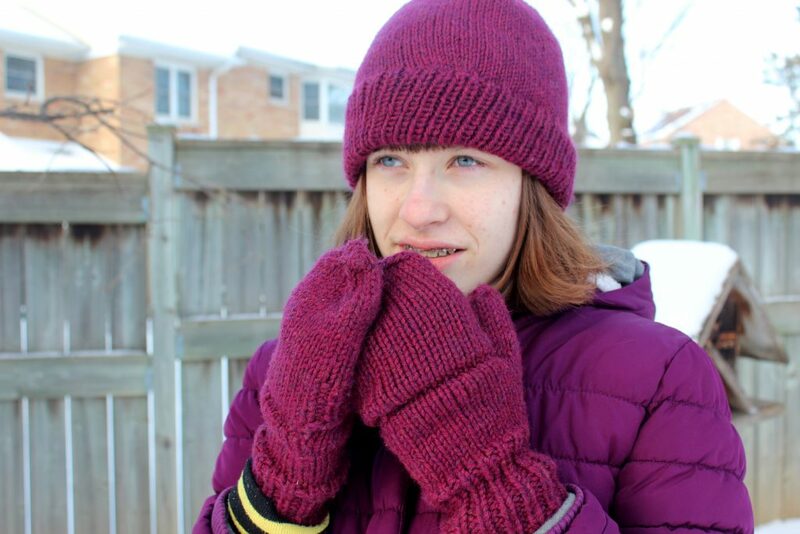 After making Allison here mittens I decided she needed a matching hat. No pattern was used, just me winging it. 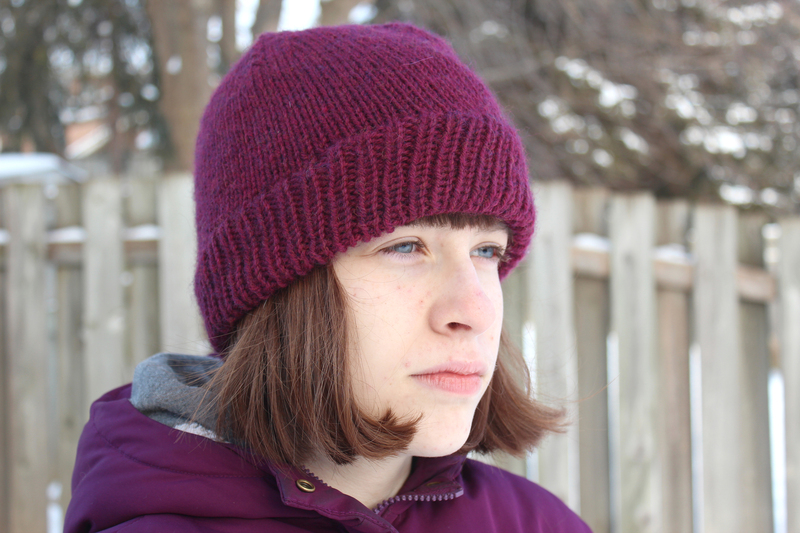 I wrote down what I did and plan to post it as a free pattern soon. 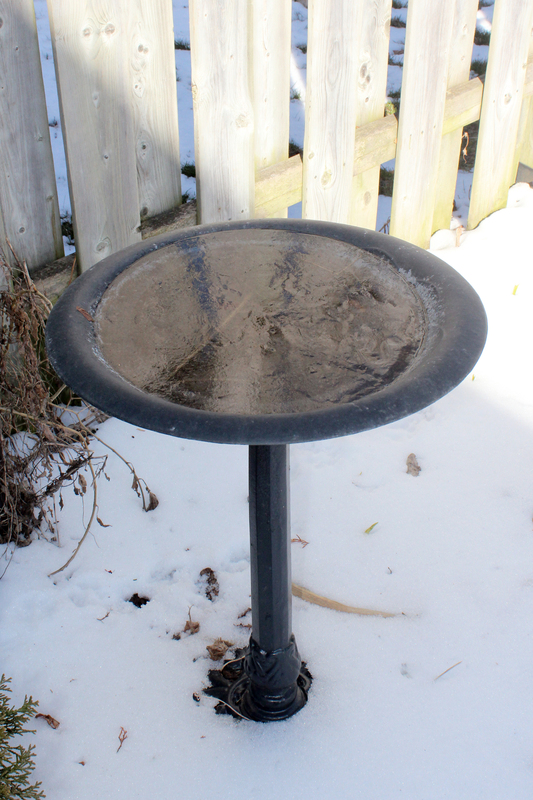 On December 31 we had a record low of -28℃ (-18 ℉). 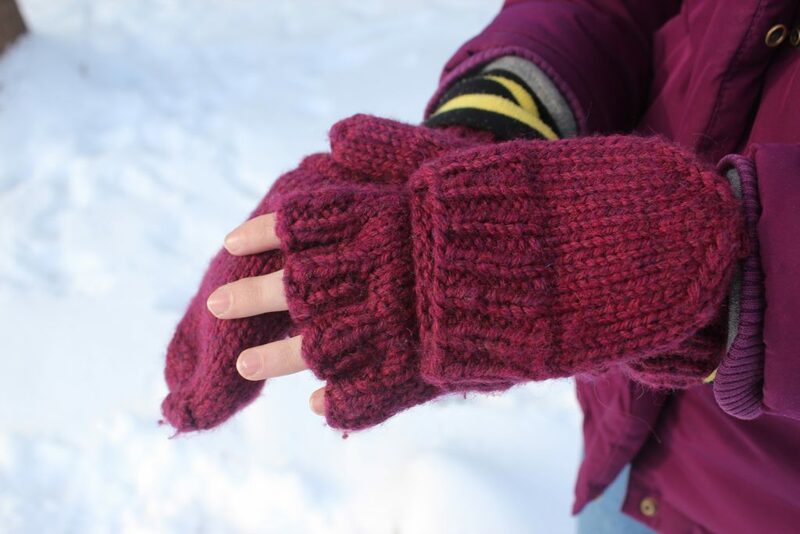 The girls would be going back to school in a week and my oldest daughter had been wearing a threadbare pair of fingerless mittens I made for myself. These mittens are perfect for a bus commuter. The flaps keep you fingers warm but allow you access to your fingers for things like grabbing your bus pass. Are they warm? They used to be but the thumbs are so worn out they almost have holes in them. So I grabbed some yarn and DPNs and started making her new ones. 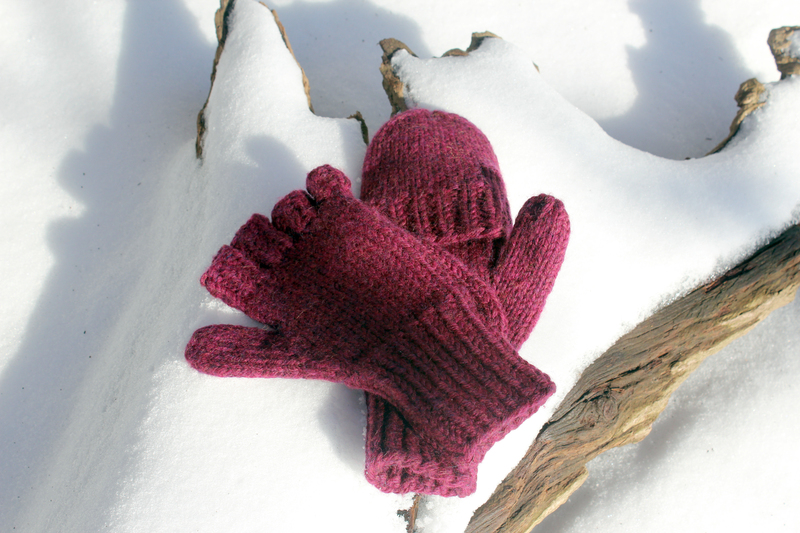 I used the pattern World’s Simplest Mittens with my own modifications. The yarn is some left over Paton’s Classic Wool in worsted weight that I doubled for extra thick mitts. The modifications were to divide the mitt into four fingers (I needed to add a couple of stitches so the fingers weren’t too small). 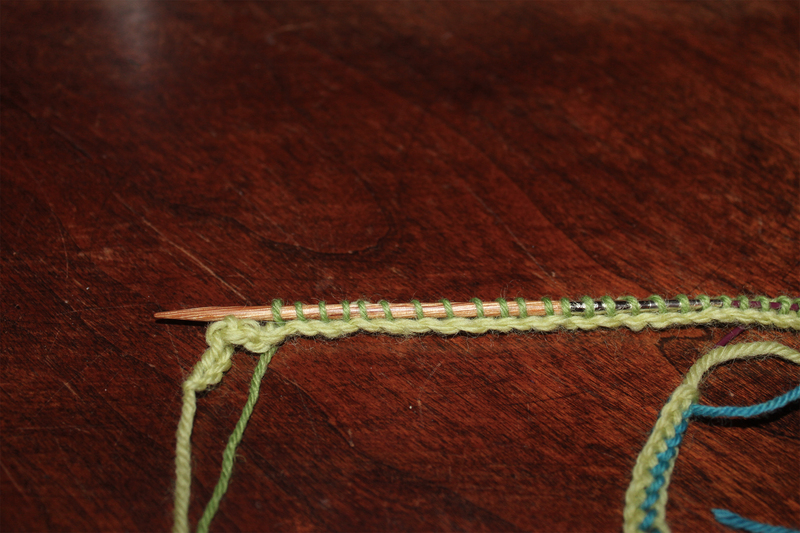 Then I created the flap with rib on one half (to face the inside of the mitten) and stocking stitch on the other half. The flap length starts from the top of the thumb gusset until it was long enough to cover my daughter’s fingers. I used Kitchener stitch to sew the flap on. It has taken me a long time as a knitter to make modifications to patterns instead of designing a whole new pattern. 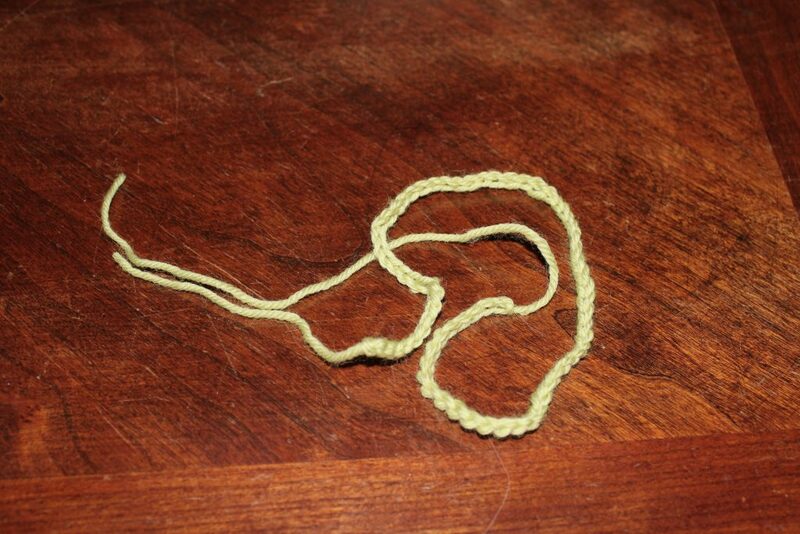 It saves a lot of headaches and time especially if the project is a simple thing like mittens or a hat. Don’t be afraid to jump in there a try modifying a pattern to create something new.